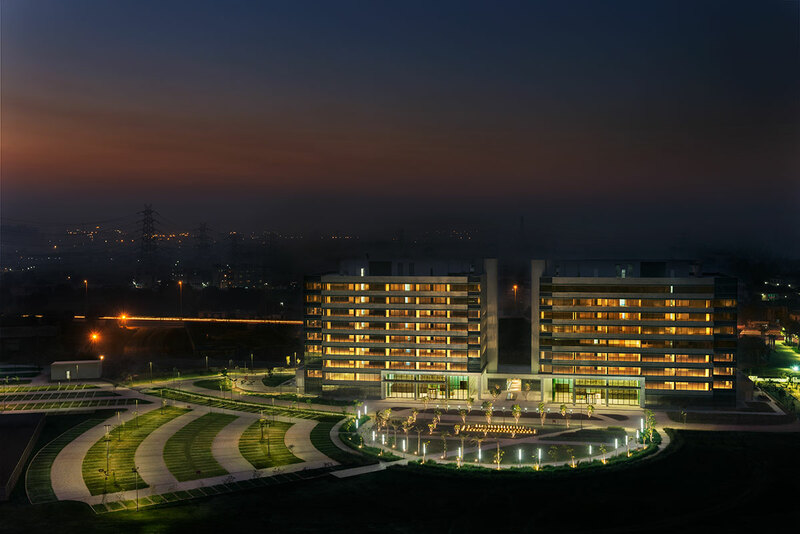 Skyview Corporate Park is a multi-phase project being developed on a 21-acre site which faces the National Highway (NH-8). 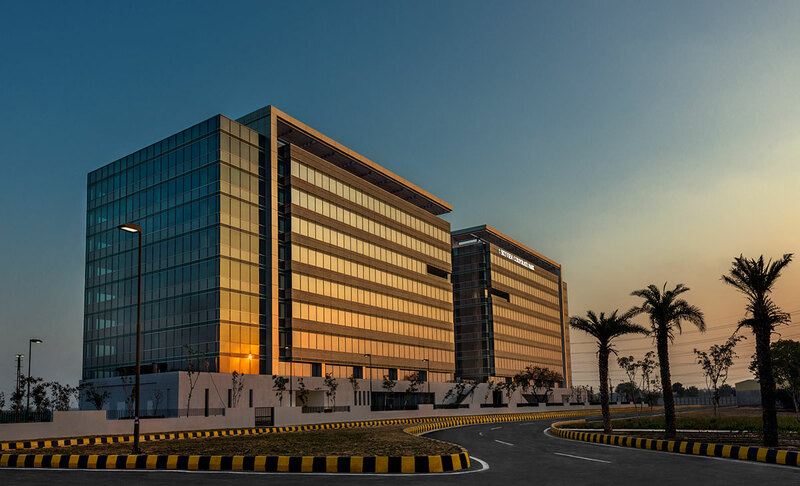 Hines partnered with the landowner, Shyam Telecom (one of India's largest telecom players), to develop the 1.87 million-square-foot Grade A campus-style development, with structured parking for more than 3,400 cars and supported by retail amenities. The project is being developed in phases with Phase I consisting of two buildings containing 235,000 sq. ft. each. Phase I was completed in 2015. The project site is bordered not only by the NH-8 but also by a 60-meter-wide future sector road. It will be within 500 meters of the intersection of the Southern periphery road (NH-262) connecting Golf Course Road to NH-8 and the Northern periphery road connecting NH-8 to Delhi. A Metro stop and ISBT within walking distance will further enhance connectivity. 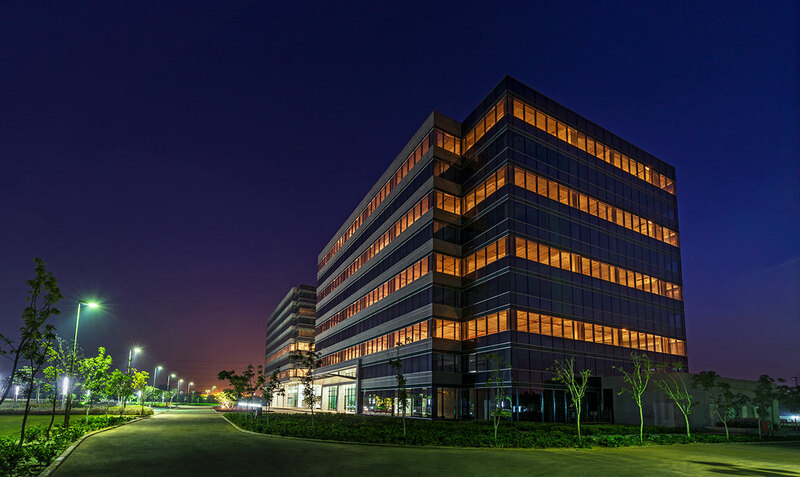 The master plan and design of the Skyview Corporate Park buildings was created by Roger Soto, president/director of design for Odell Associates and former director of design for HOK's Houston office. The buildings are among the first constructed in India that meet a true international standard for Class A design and construction quality. The project achieved Platinum certification under the Indian Green Building Council's LEED India CA program in 2015. Highly Commended Office Development in India.